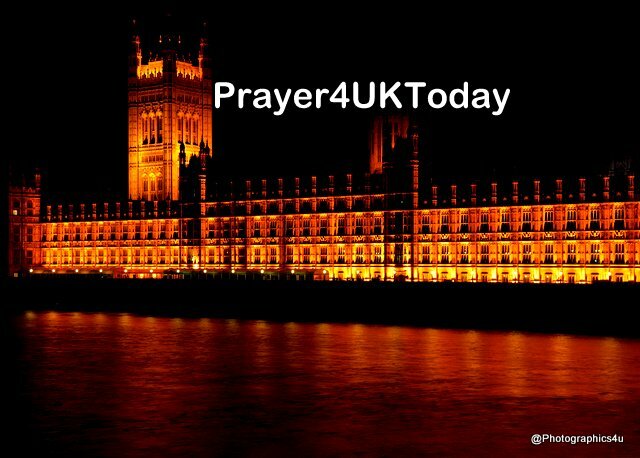 When the EU Withdrawal Bill returns to the Commons next week; We declare this is the time for Your Kingdom to come in great measure in our nation - for the Kingdom values of Righteousness, Justice, Truth, Mercy, Peace, and Moral Law to be restored, and for the designs, patterns and plans held in Heaven for the future of our nation to be fulfilled. We speak strength, hope and vision to Your intercessors and prayer networks in this land, that fresh vision and fresh faith will overcome every weariness. We acknowledge that Your ways are higher than our ways, that breakthrough comes through You, and we submit our will to Your will. Now, in the Name of Jesus, we decree and declare, as Your people seek Your face and Your desires, the God given potential of this season will be fulfilled. We declare through this Bill; our judicial system, economy, trade, security, boundaries & borders and all matters of society will come into God given order, and we decree and declare a convergence of Your blueprints, Your Voice and Your timings, in the Name of Jesus. “Remember those in prison as though imprisoned with them” (Hebrews 13:3) and pray for them. Father God we pray for freedom of religion in Eritrea and for citizens and government to work together for justice for all. We ask that Eritreans escaping harsh conditions and imprisoned in other countries will be treated humanely and mercifully. We pray that Christians in the Middle East will be reminded of their duty to visit those in prison and bring comfort to them.